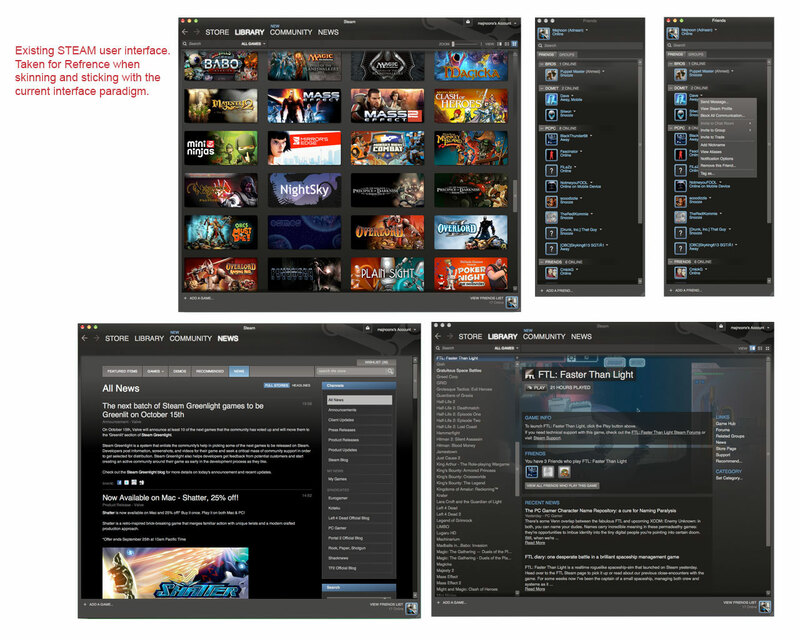 Disclaimer: I have no affiliation to the great team at Valve/Steam. 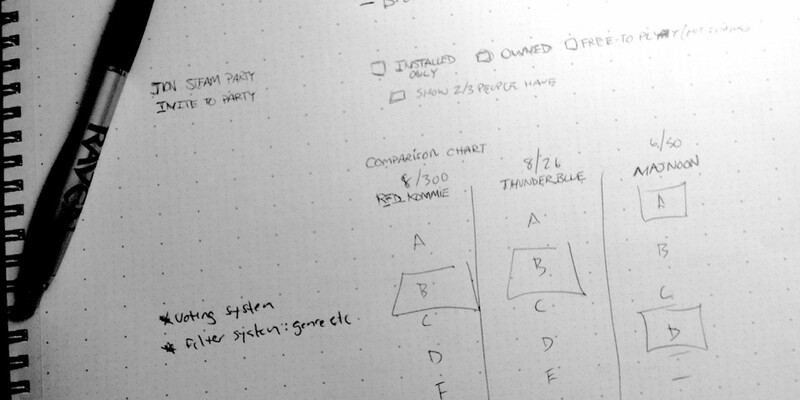 This is just an exercise in interface design using a platform I am grateful for. This is a concept I had for a virtual or actual “LAN” (Local Area Network) gaming party, facilitated by the Steam™ digital distribution platform. You can view the high resolution final version here. 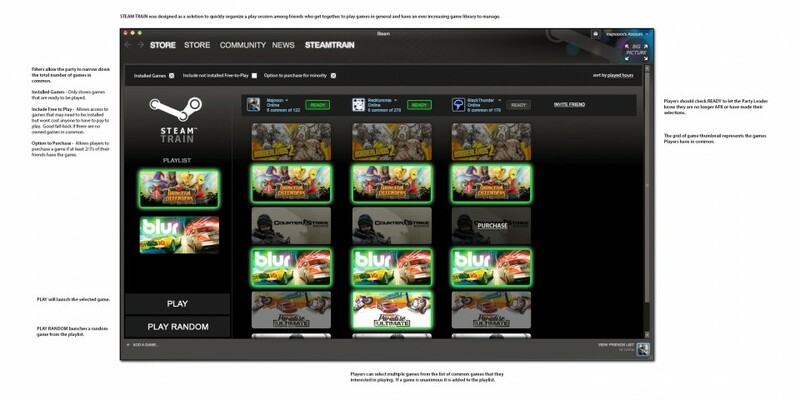 Steam™Train would be an addition to the Steam™ platform that would allow users to join or be invited to a group for the purpose of selecting a common game to play. 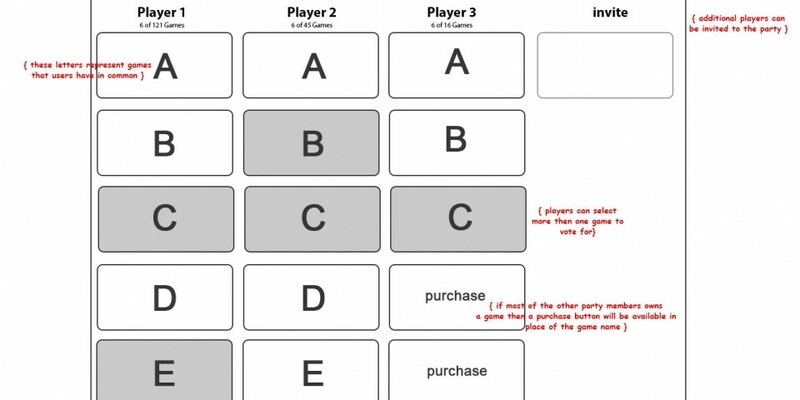 Once multiple users have entered the party common games will be displayed in a familiar format. 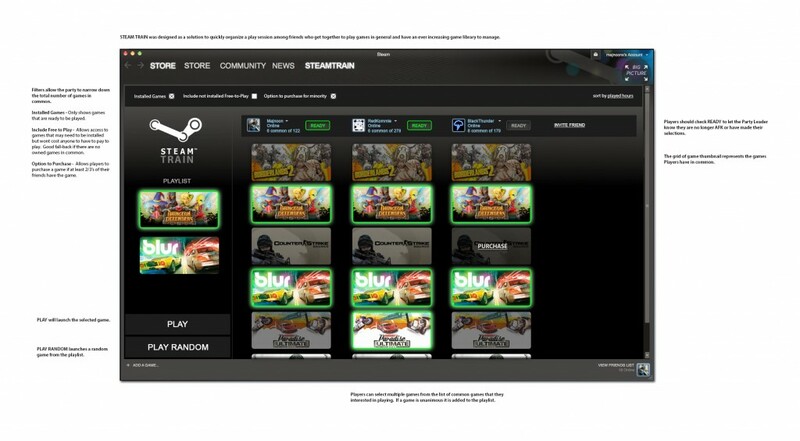 The users can then select games from the list of common games that they wouldn’t mind playing. Once agreed the game launches. 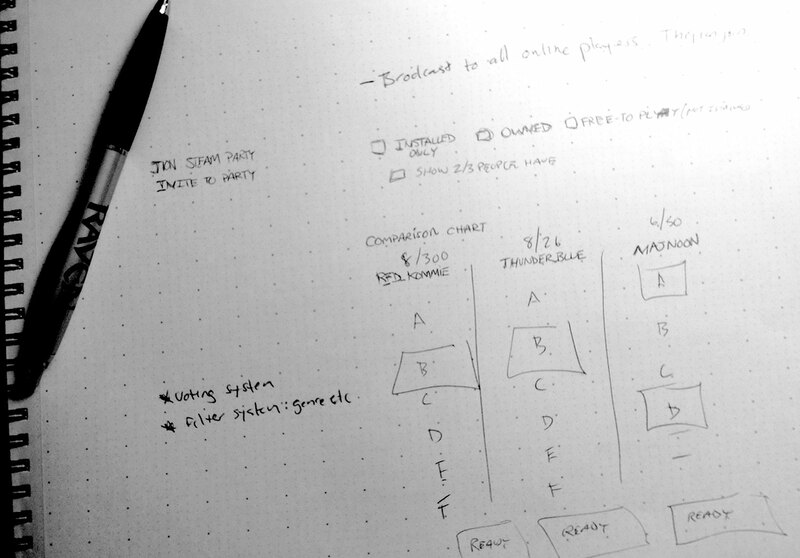 There will be a lot of useful filters to make the selection process a lot more efficient. 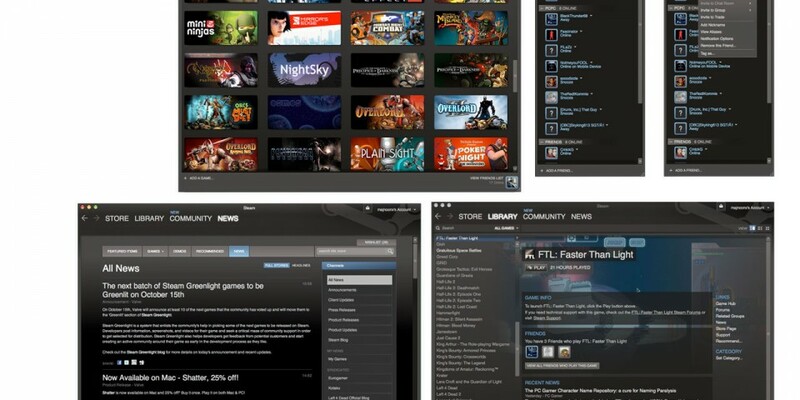 For instance, gamers on a budget may include all free-to-play games, which have no barrier to entry, barring installation. 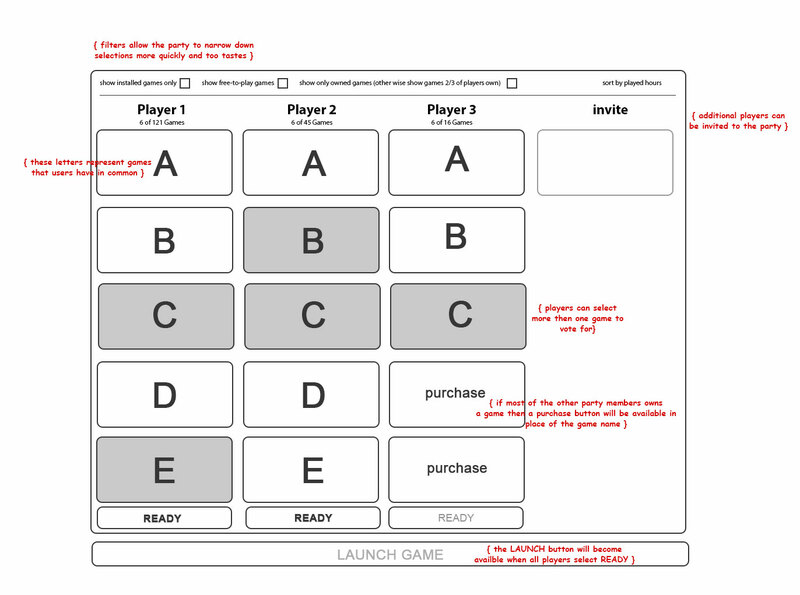 It is the ultimate goal of this proposed solution to go from “hey guys, I have a few hours to kill, wanna play something?” to quickly selecting and launching a game that leaves no man behind. Suggestions to improving the designare always welcome.